They travelled to new places to discover new things. The early explorers to Africa wanted to discover the source of River Nile which they had seen in Egypt. Explorers travelled by sea and landed in the coastal towns. They travelled on foot with porters carrying their luggage. John Speke was travelling with Richard Burton looking for the source of the Nile. In 1856 they reached Ujiji on the shores of Lake Tanganyika. Here they were told by local people that the lake was not the source of River Nile. Burton fell ill at Ujiji and Speke continued with the trip alone. He reached Lake Victoria and was convinced that it was the source of River Nile although he had no proof. In 1861, he travelled to Lake Victoria and visited the Buganda Kingdom in the West. In 1862, during this journey, he saw waterfalls at the point where River Nile left Lake Victoria. He named the water falls after the President of the Royal Geographical Society that paid for his trips, Rippon Falls. These falls were later renamed Owen Falls. 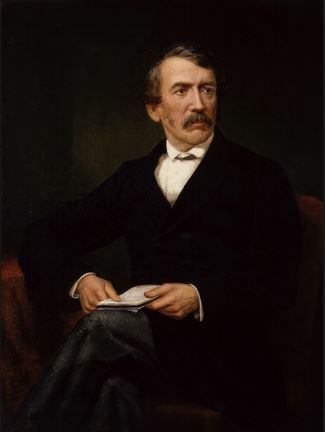 Together with James Grant he travelled Northwards along the Nile. When he reached England he published articles about his discoveries in Eastern Africa. He died in 1864. He was a British explorer. He came to East africa to look for David Livingstone, a missionary who had come to Africa and not returned home. He travelled over 700 kilometres through the dense tropical forests. He hoped that the journey through Africa would bring him fame and wealth. In 1871, he found Livingstone in Ujiji, but Livingstone was very sick. Stanley wrote a book when he returned home to describe his adventures in Central Africa. 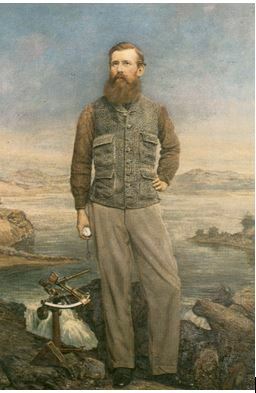 In 1873, Livingstone died and Stanley decided to continue with his travels. He travelled along River Congo to see if he could discover more new things in Africa. In 1877, he reached the Atlantic Ocean. He then wrote a book entitled “Through the Dark Continent.” He got support from King Leopold II of Belgium who was in control of Congo at that time. In 1871, he returned to help build roads in Congo. During this time, he was very cruel to African workers. His efforts led to the formation of the Congo Free State during the Berlin Conference. 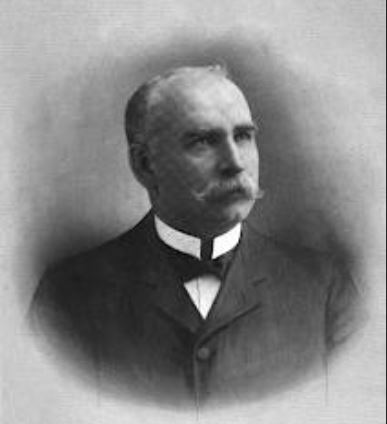 He died in 1904. 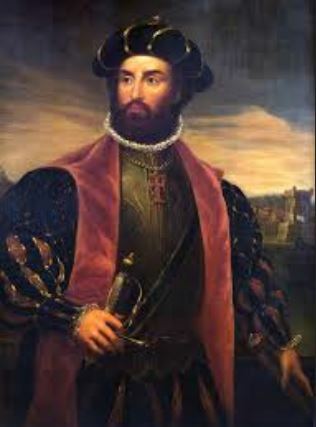 He was a Portuguese explorer who wanted to open up trading posts in Africa. He set off from Portugal in 1497, travelling along the West Coast of Africa and stopped at the Cape of Good Hope in South Africa. He was the first European to reach Mombasa. da Gama was not well received in Mombasa, so he travelled to Malindi where he was welcomed by the local leaders. He reached India in May 1498. He travelled back to Malindi the following year, from where he travelled to Portugal. He made another journey in 1502-1503. During this journey, he killed many Muslims. On his third journey, he became the king’s representative in India. He died in India in 1524. Because of his travels, Portugal gained interest in Mozambique which later became a Portuguese colony. Traders were the earliest visitors to Eastern Africa. Early traders who came to the East African coast were mainly from Arabia, India, Persia (Iran), China, Greece and Portugal. They mainly practised barter trade. They brought manufactured cloth, carpets, spices, salt, gunpowder and guns in exchange for ivory, slaves, gold and rubber. Said was an important Arab ruler and trader from Oman. He fought the Portuguese and regained control over the trade routes from India. In 1824, he tried to take control of Mombasa from the British but failed. Two years later, the British gave him Mombasa because they found the climate to be hot and humid. The area also had tropical diseases like malaria. Seyyid Said seized Fort Jesus and took control of Mombasa Island. He developed Zanzibar into an important trading centre for ivory and slaves from the interior. The British helped him to transfer his headquarters from Muscat in Arabia to Zanzibar. This way, he was able to take full control of trade in the region. He signed trade agreements with the British and Americans who then opened offices in Zanzibar. This increased trade in the region. He set up large plantations for cloves in Zanzibar. He was able to export this and make a lot of money. He became recognised as the Sultan or the supreme ruler of Oman. During his rule, East Africa and Zanzibar became known as the Pearl of the Indian Ocean. 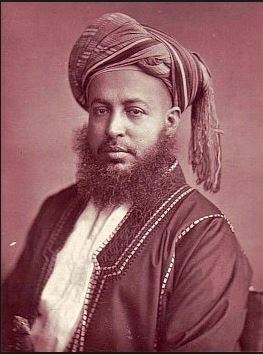 He died in 1856 on his way from Oman to Zanzibar. MacKinnon came from Scotland in Europe and made many trips to India. He had a company called British India Steam Navigation Company which owned many ships. MacKinnon befriended the rulers of Dar-es-Salaam so that his ships could be protected along the coast of Eastern Africa. He later formed the British East Africa Company in 1887. This company was supported by the British government, who planned to use it to spread their influence in East Africa. In 1888, the company changed its name to Imperial British East Africa Company. It was then allowed to rule the Kenya and Uganda colonies on behalf of the British government. The Christian missionaries were happy with the company because they thought that it would protect them. It would also help them provide education to the Africans in the region as well as help stop slave trade. However, MacKinnon lost support of the British government and other traders because of his treaty with the ruler of Dar-es-Salam, Seyyid Bargash. other German offi cials. He set up a trading company called the German East Africa Company. Carl Peters was a cruel man who treated Africans badly. This caused rebellion in Tanganyika. He was fi nally dismissed by the German Government in 1897. These are visitors who came to East Africa to convert the local people to Christianity. 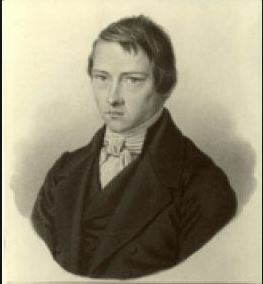 A German Christian Missionary born in 1810. He was very gifted in languages and when he came to the East Coast of Africa, he learned Kiswahili. He was sent to Africa by the Church Missionary Society (CMS) and arrived in Zanzibar in 1844. He moved to the East coast of Kenya and started learning the Mijikenda languages before he learnt Kiswahili. He started a Christian Mission at Rabai near Mombasa. He translated the New Testament of the Bible into Kiswahili. He also wrote a Swahili Dictionary and grammar books. In 1846, he was joined by Johannes Rebmann who had also been sent from Germany by the CMS. They both started Missionary work along the coast. They were helped by the local people to move inland and he became the first European to see Mt. Kenya. Ludwig Krapf went back to Germany because of poor health. He took with him records of the work he had done. He died in 1881. 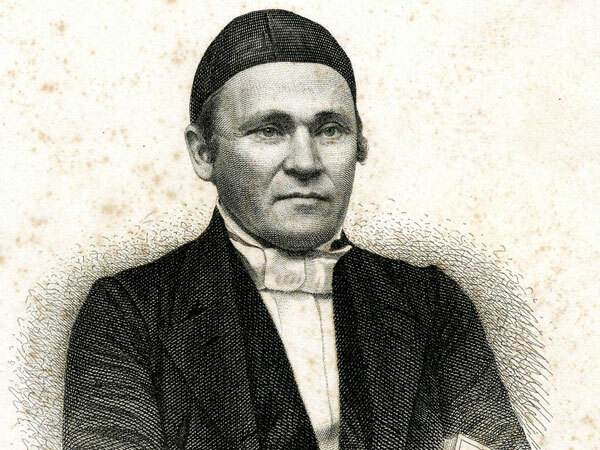 He joined Krapf in 1846 and worked as a missionary among the Coastal people. He moved to Mount Kasigau in the interior and set up a mission post. While there, he heard stories about the snow-capped Mt. Kilimanjaro. He became the first European to see the Mountain. He stayed in Africa until 1873, when he was attacked by tropical disease and lost his sight. Born in Scotland in 1813. He was sent by the CMS to South Africa in 1840. During his travels, he saw followed the river Zambezi and became the first white man to see and name the Victoria Falls. In 1856, he came back a second time, this time looking for the source of the Nile. He was involved in missionary work and encouraged European countries to send more explorers, teachers, missionaries and traders to Africa. He wanted Africans to become civilised. He travelled over large areas in the interior. 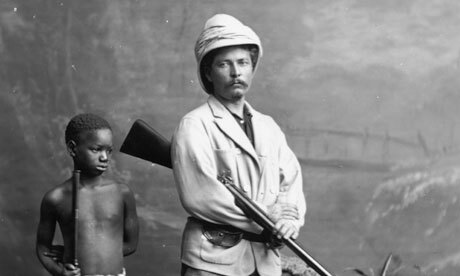 He then reached Ujiji where he met Henry Morton Stanley in 1871. The two continued travelling in the region and drew the attention of the world to the slave trade they saw taking place in the area. He died in 1873 in Zambia and his body was transported to Britain for burial. To find the source of River Nile. To discover the different lakes on the continent. Some came to find the tall mountains they had heard about. To look for the different types of trading items found in the area. To look for new markets for their goods. To find raw materials they could take back to their countries for processing. To find the sea route to India. To take control of the sea routes which at that time were controlled by the Arabs. The Arab traders wanted to spread Islam. To discover what was there in Africa. To spread the influence of their home countries in Africa. Some early visitors settled along the coast and this led to the growth of towns. They introduced new forms of trade. They introduced schools and formal education through which people could learn how to read and write. They intermarried with the local communities and gave rise to the Swahili language and culture. They introduced new crops like cloves, rice, cassava, sugar cane and coconuts. New mode of dressing was introduced. They introduced new ways of building houses. They introduced new foods and spices. 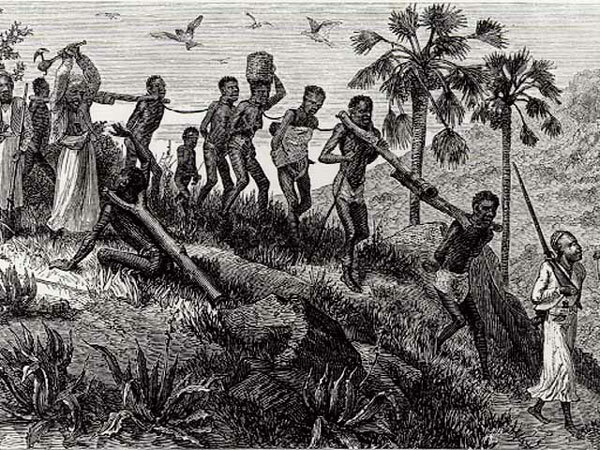 Missionaries helped to abolish slave trade. Hospitals and dispensaries were established to treat common tropical diseases like malaria. The Bible was translated into local languages. This enabled the communities to read and understand the Bible. It led to colonisation through which Africans lost their independence. They also lost their traditional way of life. Many wild animals were killed in order to produce items of trade like ivory and animal skins. Slave trade was very dehumanising for the Africans. It also caused a lot of suffering among the African communities. New weapons like guns, swords and daggers were introduced.